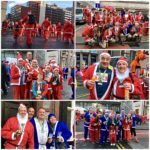 The streets of the city centre were closed to everyone apart from thousands of Father Christmas lookalikes this morning, as the 14th annual Santa Dash took place in Liverpool. The world-beating 5K run began at the Pier Head and continued up to the finish line at the Town Hall, where participants were welcomed with fake snow and festive entertainment. Confirmation came that 7,500 runners took part this year – most raising money for charity in red or blue Santa costumes, with several carrying collection buckets on their way. 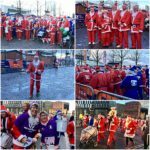 Some participants wore purple, others green, a few dressed as elves and reindeer, with pets also welcome in fancy dress, as Claire House Children’s Hospice also benefited as this year’s official charity. 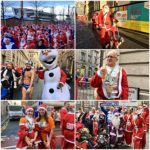 Evertonian Speedo Mick braved the cold weather in his swimwear again, following his recent 700-mile walk from Liverpool to Lyon to raise money for Alder Hey Children’s Hospital. 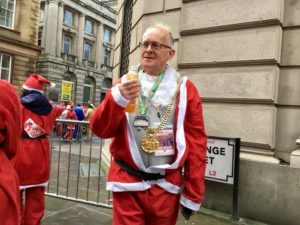 The Lord Mayor of Liverpool, Councillor Malcolm Kennedy, was among those getting into the Christmas spirit and he praised the “amazing enthusiasm” of those involved. 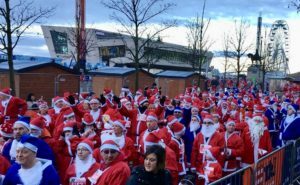 He told JMU Journalism: “I didn’t realise five kilometres was so far – and there’s a few hills in Liverpool as well. 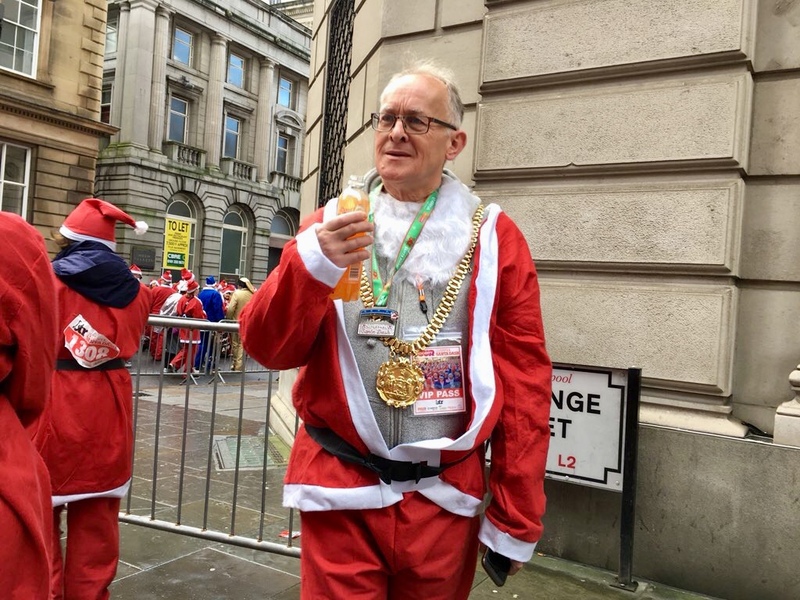 Other notable participants included Gary Morton, who ran 31 marathons in 31 days to raise £43,000 for the NHS Clatterbridge Cancer Centre. 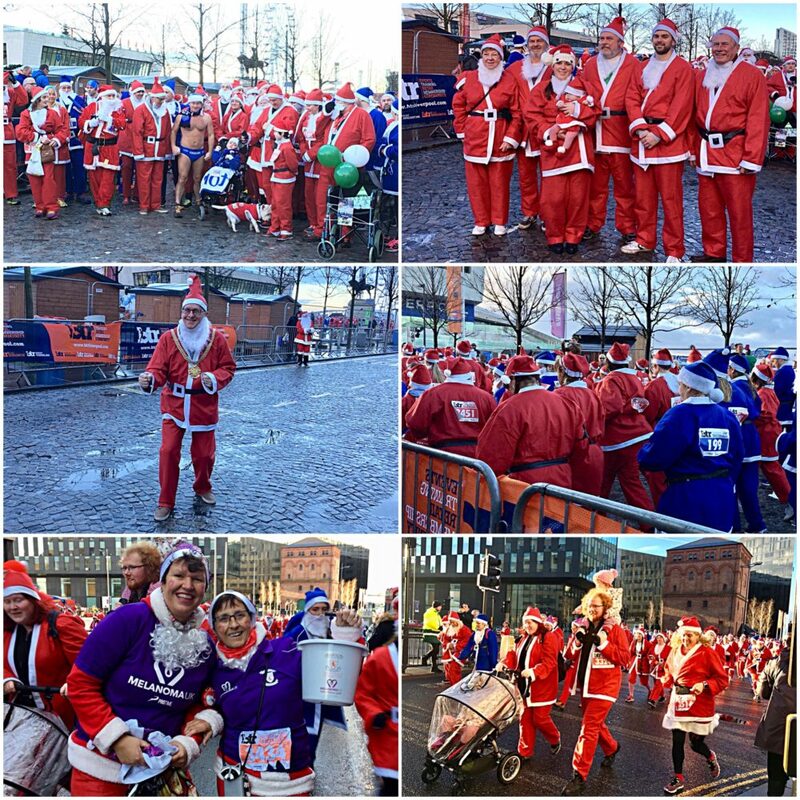 Numerous runners could be seen wearing green Santa hats with the Clatterbridge logo as they added to the cause. A group of more than 20 soldiers ran representing the 33 Signal Squadron of Huyton, carrying bags weighing up to 15kg on their backs. Brian Hardy, 50, who is part part of the squadron, told JMU Journalism: “We like to do these events now and again to get out and allow people to chat to us and ask any questions they might want to know the answers to. 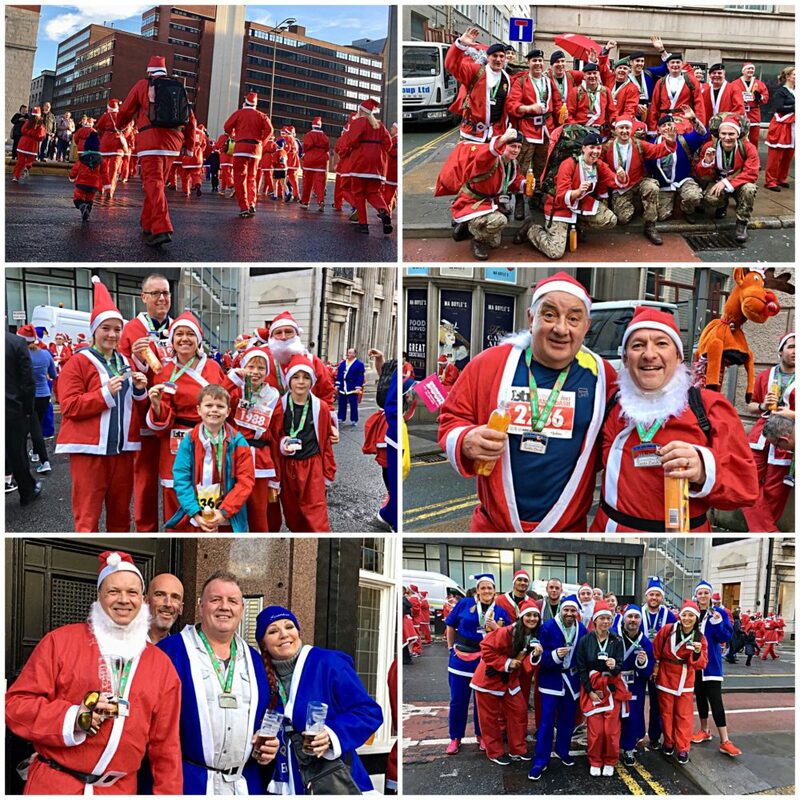 Organiser and BTR Race Director, Alan Rothwell, said: “What another incredible day for the Liverpool Santa Dash.